SonaCare Medical, LLC, the makers of innovative High Intensity Focused Ultrasound (HIFU) medical devices for the treatment of prostate cancer, has announced the roll-out of its newest technology – called Sonafuse Profuse – introduced this summer at the treatment center in Puerto Vallarta, Mexico. The Sonablate® technology currently in use at the San Javier Marina Hospital has been updated with powerful new hardware components and the latest generation “3G” software including image fusion. Puerto Vallarta is now one of only three international treatment sites in the Americas offering image fusion and the newest software offering the benefits of multi-mode imaging that sees the outside and inside of the targeted area at the same time. Sonafuse Profuse technology fuses a previously obtained magnetic resonance image (MRI) with live ultrasound during the HIFU procedure. This allows the visualization of regions of abnormality visible with MRI, but not normally visible with ultrasound during the procedure for targeted treatment. The fusion program is based on Artemis Profuse software from Eigen, one of three SonaCare Medical fusion partners that provide seamless integration with physicians' targeted biopsy systems. Dr. Lazar said there are many benefits associated with advanced HIFU therapy, including sound-based, tissue sparing, non-surgical intervention for the treatment of prostate cancer and more favorable outcomes for patients. He said modern imaging technology is changing today’s urological cancer landscape, enabling doctors to increase their detection of genitourinary cancer as well as better tumor and cancer cell visualization, especially among smaller confined tumors. He said it is also helping physicians achieve better, targeted biopsies and helps in the diagnosis of prostate cancer among younger patients. HIFU is also being used in conjunction with CT scans to detect small, incidentally discovered, kidney renal masses – as well as for mpMRI prostate scans to identify specific regions of interest for targeted biopsy and ablation therapy. For more information contact Dr. Michael Lazar, visit California HIFU, or call (707) 546-5553. 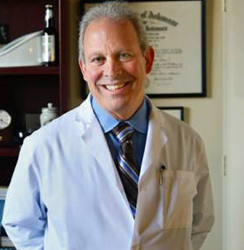 Dr. Lazar’s office is located at 1140 Sonoma Ave #1A, Santa Rosa, CA 95405.